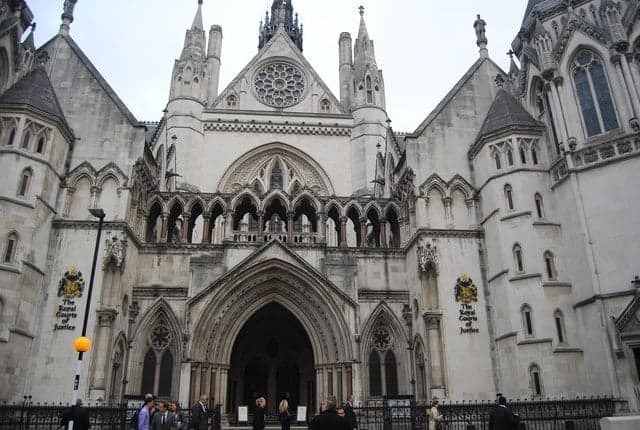 Today, the High Court is considering a case challenging the criminalisation and continued punishment of prostituted women, brought forward by several women who were pimped into prostitution as teenagers. If successful, the case will bring an end to the shameful practice of labelling and punishing victims of abuse and exploitation for something that was in a large part done to them. The effect of prostitution-specific records on women regarding jobs, housing and family life is excessively disproportionate and damaging. Because prostitution records are often assumed to constitute “sexual offences”, women holding these records are typically barred from any jobs requiring enhanced DBS (Disclosure and Barring Service) checks, which were introduced to help employers make safer recruitment decisions by identifying candidates who may be unsuitable for certain work with vulnerable groups – the majority of which are jobs disproportionately dominated by women, such as work with children or elderly. Women are criminalized for having been in prostitution, yet these records trap women in prostitution even when they are working to exit it. Most shockingly, women and girls who are bought, sold, coerced, controlled and exploited are then subjected to years of stigma, blame and marginalisation by these criminal records. Meanwhile, the men who bought, sold and used these women and girls rarely face any consequences, despite being the perpetrators. Grooming a minor for the purposes of prostitution falls squarely within the definition of human trafficking, and The Modern Slavery Act 2015 provides a statutory defence to victims, which makes clear that a victim of trafficking who has been compelled to commit an offence as a consequence of trafficking should not be criminalised. In the case of criminal records for prostitution offences, the very abuse committed against victims of sexual exploitation is the same “crime” for which the victims are punished. Women’s prostitution-specific criminal records should be wiped or sealed and not subject to disclosure, and women should not be criminalised for prostitution. It’s the pimps, traffickers and the buyers who cause the harm and should be the focus of criminal law. Research by NIA, the charity dedicated to ending violence against women and children on “Examining the impact of prostitution-specific criminal records on women seeking to exit prostitution” recently concluded: “both criminal records and the criminal justice measures applied to women involved act to the detriment of the women. Indeed, a key finding of this report is that both criminal records and the criminal justice measures applied to women involved are detrimental to a uniquely discriminatory and disproportionate extent. They carry a particular gendered and enduring stigma, and as such are a hindrance to exiting and building a new life. By entrenching women in prostitution, criminal records and criminal justice measures lead to still further criminalisation, violence and abuse, and run counter to the government’s expressed intention concerning rehabilitation of women offenders specifically. “It is therefore encouraging to note that the interim recommendations of the Select Committee Inquiry have at least recommended that women should not be criminalised for their involvement and their records should not be disclosed. There is also an EDM tabled in parliament. If you want to contact your MP with your thoughts on it – it is EDM 792.